The Vitagraph output of the 1920s has been completely overlooked because most of the films have been lost. Founded by émigré englishmen J. Stuart Blackton and Albert E. Smith in 1897 in Brooklyn, New York, by 1907 Vitagraph was America’s most prolific American film production company. It was bought by Warner Bros. in 1925. This evening we are going to show as many as we can from Kevin Brownlow’s personal 9.5 collection. They will include a 1924 version of The Magnificent Ambersons, Trumpet Island (1920), which includes a sudden hurricane and airplane crashes, and the western Pioneer Trails (1923) with Alice Calhoun. Once again Kevin will be presenting the films, and David Locke will be operating an original projector with an enhanced projection system for a brighter viewing experience. 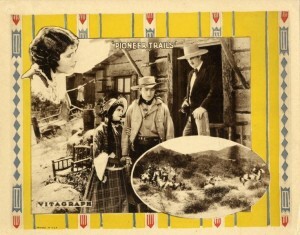 Pioneer Trails (1923), directed by David Smith, and starring Cullen Landis and Alice Calhoun. Four year-old Jack Dale is the sole survivor of his family after an Indian raid on their wagon party. Twenty years later, Dale (Cullen Landis), known as Jack “Plains,” rescues some passengers in a runaway crash and meets pretty Rose Miller (Alice Calhoun), her father and his business partner, Philip Blaney, who desires Rose. Jealousy causes Blaney to accuse Dale of a murder that is committed. Trumpet Island (1920), produced and directed by Tom Terriss, and starring Marguerite de la Motte and Wallace MacDonald. Recently returned from the war, Richard Bedell (Wallace MacDonald) has fallen in love with Eve de Merincourt (Marguerite de la Motte), but her father depends on his daughter marrying a wealthy man to save himself from financial ruin. He forces her onto his globetrotting friend Henry Caron. 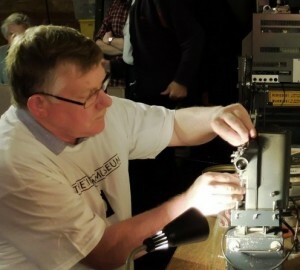 Richard, dejected, moves to a remote island. On their honeymoon, Eve and Henry are caught in a sudden hurricane and their plane crashes on the very island Richard had escaped to. Pampered Youth (1925), directed by David Smith, and starring Cullen Landis, Allan Forrest and Alice Calhoun. This was the first screen adaptation of Booth Tarkington’s 1918 novel The Magnificent Ambersons, famously filmed in 1942 by Orson Welles. The Ambersons are the oldest and most prominent family of their small Midwestern town, but as the nineteenth century draws to a close and industry begins to darken their quiet town into a bustling city, the family quickly find themselves overshadowed by the up-and-comers of the next century. One of these is the automobile pioneer Eugene Morgan (Allan Forrest), who decades ago had been the rejected suitor of Isabel Amberson (Alice Calhoun). Now a widow, Isabel hopes to renew the affair, but her son George (Cullen Landis), raised at the height of the Ambersons’ fortunes with all the self-assured arrogance that entails, takes umbrage at riffraff like the Morgans. 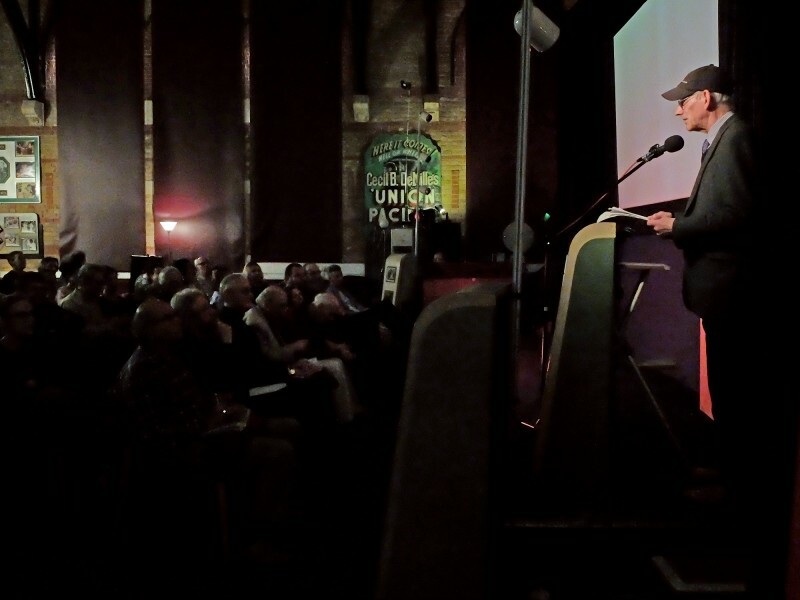 For more information about Kennington Bioscope, please visit the website. £4 (£3 of which goes to the Cinema Museum). Seats are limited, so please request an invitation using the email kenbioscope@gmail.com.